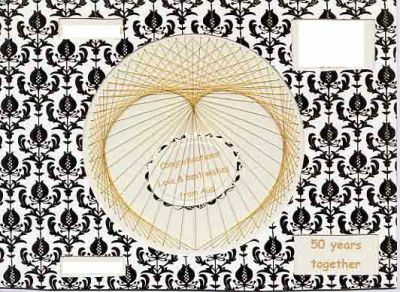 This week’s card is called Golden wedding card and was made by Aud. This striking card was made using the Heart Circle pattern available free from the Pinbroidery website. Aud said: “I have erased the personal detail.” These are now shown as white squares.